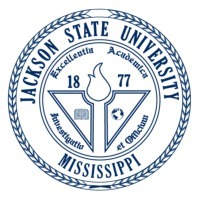 Review: Jackson State University (Jackson State or JSU) is a historically black university founded in 1877 in Natchez, MS by the American Home Baptist Society of New York. A member of the Thurgood Marshall Scholarship Fund, JSU holds an important place in the history of US civil rights. A historically black Doctoral/Research public university, Jackson State educates a diverse student population in a broad range of baccalaureate, master's and doctoral programs. Location & access map for "Jackson State University"